The 186 miles of Pembrokeshire coast path set within Britain’s only coastal National Park offers blue flag beaches and numerous points of natural beauty for some of the most breathtaking walking and cycling trips. As one of National Geographic’s ‘top rated world coastal destinations’, the area continues to attract walkers on a global level with options from family rambles and cycle paths ending at secluded picnic spots to more challenging treks and ascents through the Preseli Hills in the north of the county. 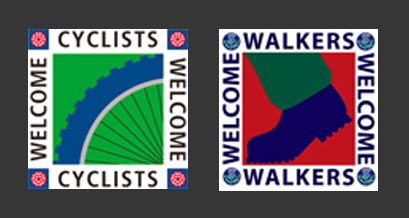 Tretio Cottages are part of the Visit Wales Cyclist and Walkers Welcome Awards Scheme. 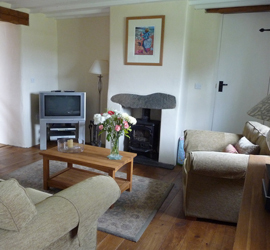 This gives cyclist and walkers the confidence to know that they are booking quality accommodation to meet their needs. 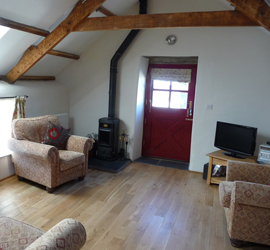 Tretio Cottages adjoins the Site of Special Scientific Interest (SSSI), Dowrog Common which is renowned for its unusual plants, fauna and wildlife. 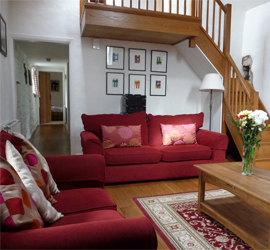 The cottage grounds are also home to an abundance of wild flowers and birds which can be enjoyed at leisure as well as fantastic views and glorious sunsets towards Penberri and Carnllidi. The National Trust runs a varied events programme for Pembrokeshire visitors – visit their website for a list of Trust sites in the local area. Adventures in Pembrokeshire come in all shapes and sizes and we can guarantee there is one to suit you. From a short paddle along the beach to challenging your inner self whilst coasteering, the choice is vast. Activities in Pembrokeshire include cycling, swimming, fishing, bird-watching, horse riding, surfing, kayaking, climbing to name just a few. We know adventure is what many of our guests love to do and so we invite you to bring outdoor and water sports equipment and are happy for you to dry your wet gear in and around the property during your stay. Our cottage Ysgubor also has a practical wet room on the ground floor. Locally grown produce is important to Pembrokeshire and we try to support local produces where possible. For your self-catering needs, locally grown vegetables and staple foods can be purchased in St. Davids’ local delis. There is also a small supermarket in the centre of the city. For dining out, there are many local eateries in St Davids, from cosy pub grub to fine cuisine. A little further afield you have fresh seafood and award winning fish and chips in Porthgain; modern and traditional breakfasts in Trefin and soup and cakes in Solva and Newgale. See the Pembrokeshire Food Guide for further details. Creativity is rich in Pembrokeshire with many local artists feeding off the natural environment for inspiration. The area is dotted with a colourful array of workshops, galleries and art collectives, some of which need to be sought out due to their quaint, rural locations. Art lovers will discover several independent galleries in St Davids selling unique pieces of ceramic art, paintings, handmade jewellery and fused glass. There are also regular exhibitions in The Refectory, within the impressive surroundings of St David’s Cathedral. Other interesting galleries can be found in Solva, Porthgain, Newport, Tenby and Narberth, all of which can be found in the Pembrokeshire Art & Craft Guide.